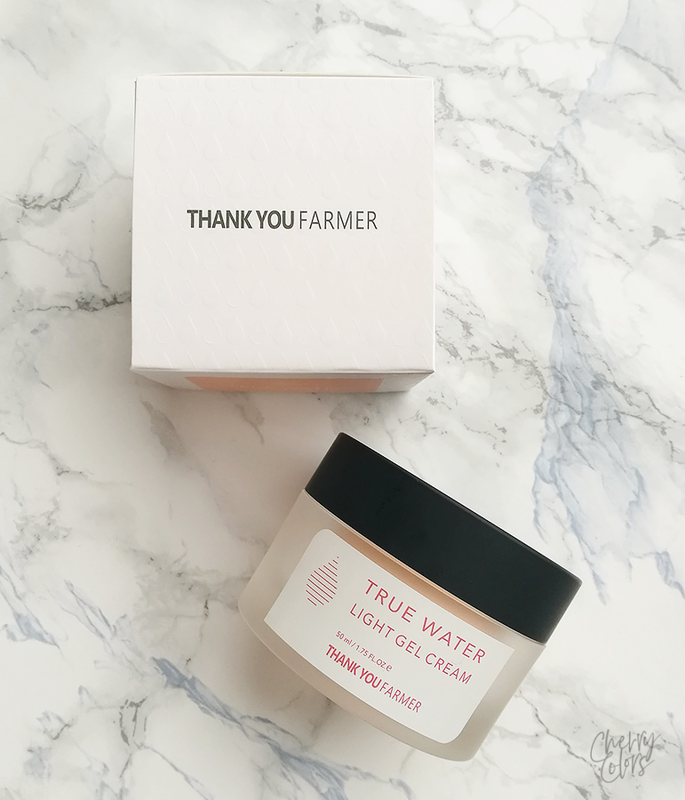 Thank You Farmer True Water Light Gel Cream - Cherry Colors - Cosmetics Heaven! Now, that I've used up this gel cream I am finally able to share my thoughts and experience with it. 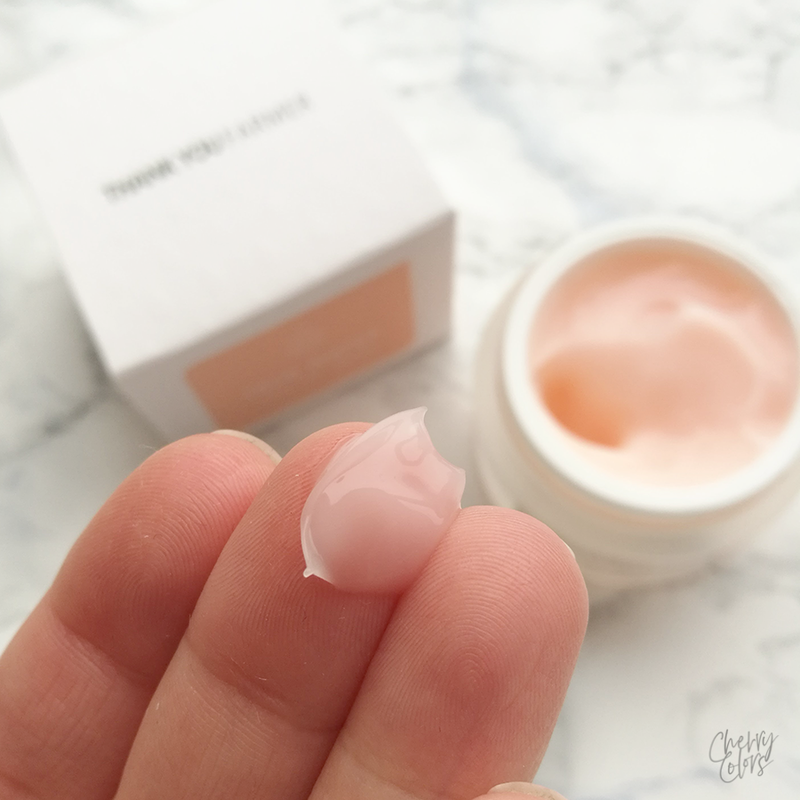 I received the cream as part of a massive Korean skincare gift from Skin Trick. 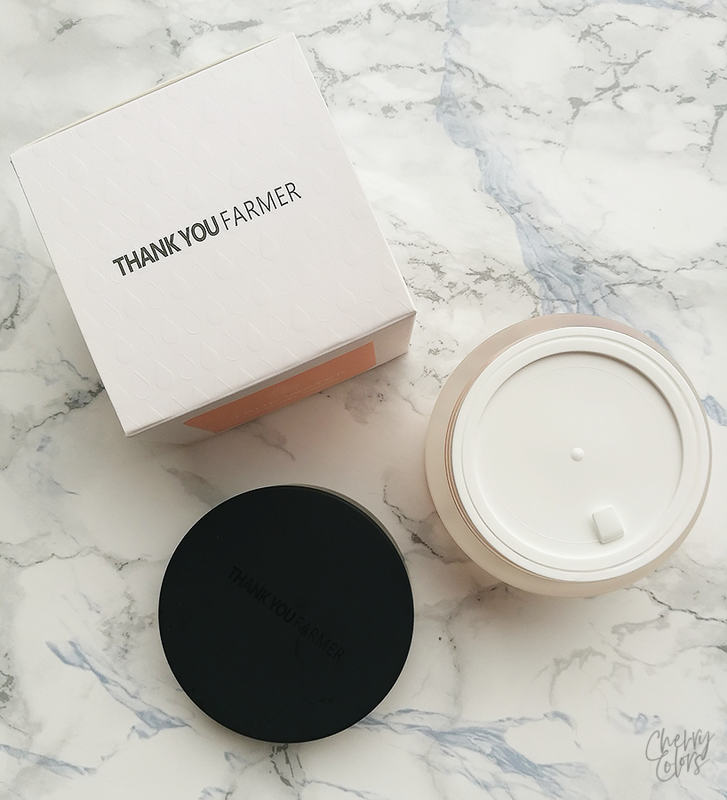 Give oily and acne-prone skin the hydration it needs without any greasy residue with Thank You Farmer True Water Light Gel Cream. This refreshing and fast-absorbing gel cream infuses skin with moisture while kudzu root extract and soluble collagen enhance skin firmness and fight signs of aging. The cream promises great hydration and extra firmness of the skin. I can vouch on the hydration part as the cream is very lightweight and quickly sinks into the skin. After serum, apply a small amount to the face. Focus on areas prone to dryness. 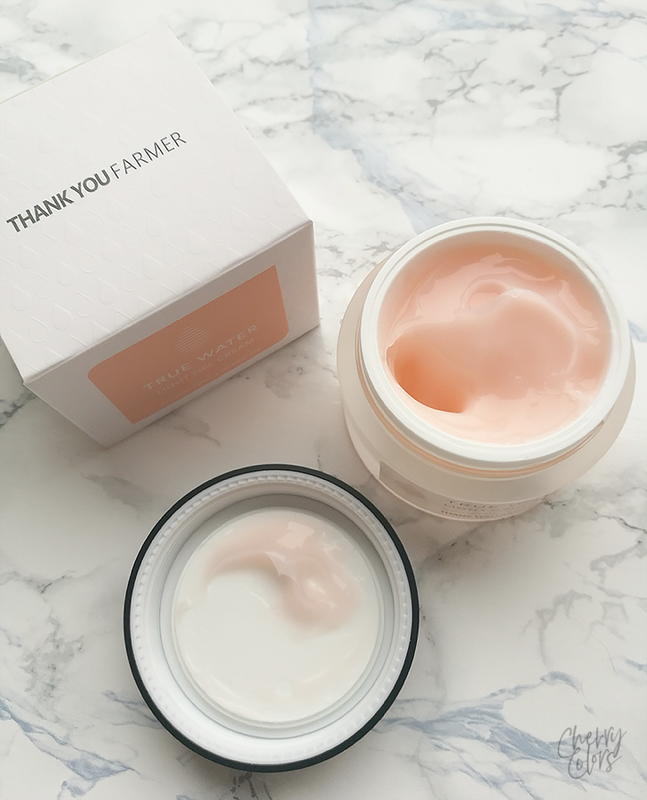 The cream comes packaged in a cardboard box which gives it a luxury feel. And truth to be told, it is a luxury product with a price point of 34€. 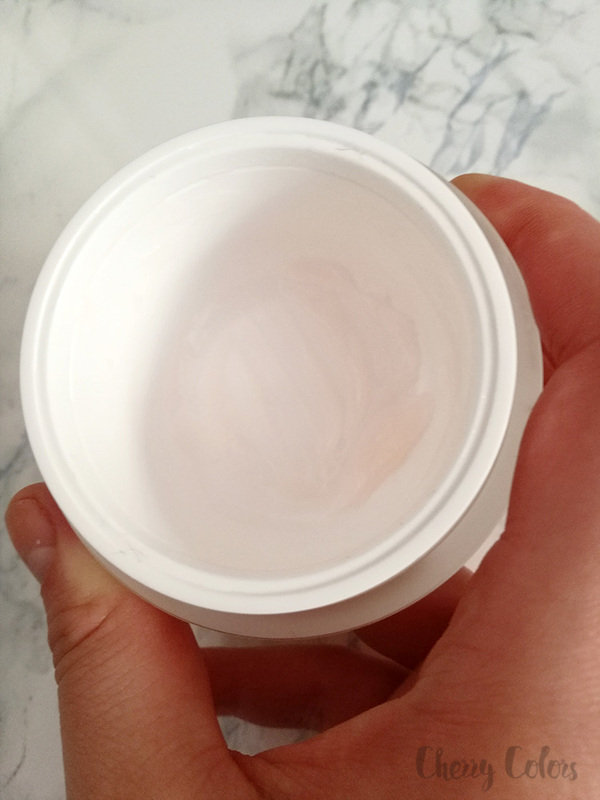 The cream comes with a double lid which is meant to protect it from the air and make it more travel-friendly. Well since I wasn't travelling with it, I removed it. The packaging is made of plastic even if it looks like glass. The packaging is plastic with a double bottom, which means that it looks like you're getting more product than you are. There's 50ml of cream in the packaging. This light gel cream relies on a blend of extracts from aloe vera, peony and portulaca, the combination that helps to soothe sensitive skin. It keeps your skin smooth with an outstanding moisturizing effect. 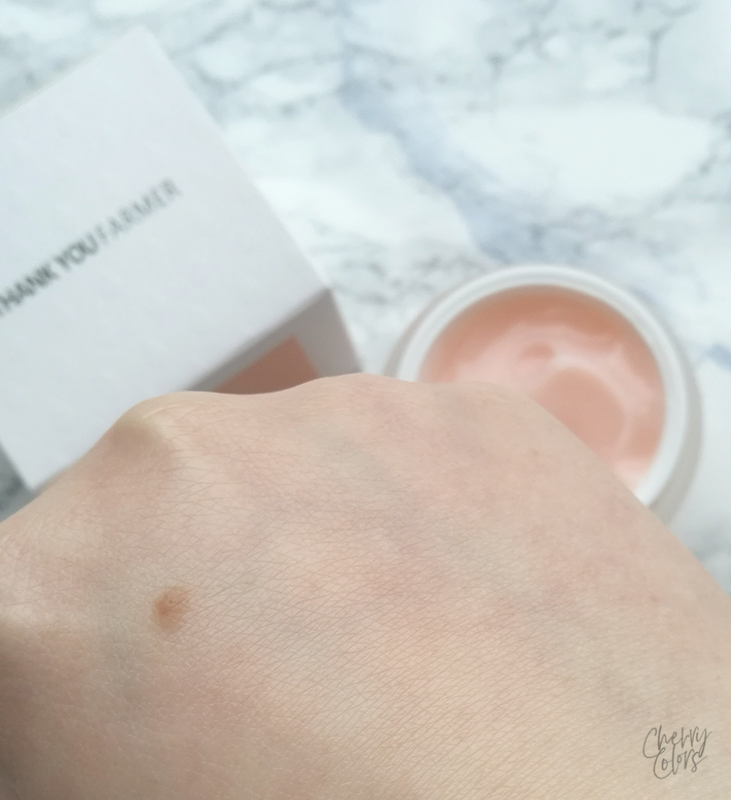 The cream is in gel form that is pretty sturdy but still really thin and easy to spread. The gel cream has a strong scent of peonies which I love but can be a bit overwhelming at times. The scent lingers for about 5 minutes before it vanishes. I used the cream in my very simple routine which went from something like this to using just a serum and a hydrating cream. I also realized that I prefer using a simple routine. The cream sinks quickly into the skin and leaves a hydrated feeling. I really enjoyed using it as it made a big difference in my skin. The skin looked and felt plumped and there was absolutely no need for a 7 skin method. Later I could ditch my hydrating toner and just use the cream as it offered plenty of hydration anyway. I used up the cream in 3 months of daily use (twice a day). I used a bit much than it was needed and I think it could last you even 4 months of daily use! Even more, if you use it only once a day. Read more about the ingredients on Skincarisma. I think it's a good cream. Not exactly worth the high price point but if you can get it on a sale, then it's worth every penny. 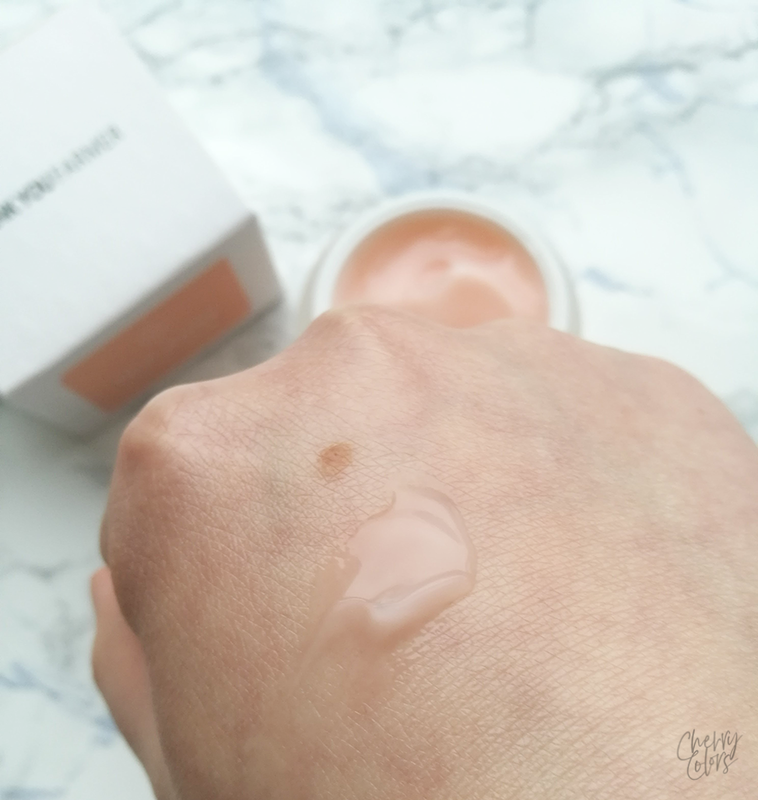 Currently, it's on sale for 14€ on SkinTrick.com and well, for 14€ which makes it an amazing gel cream! But if it's not on sale I'd think twice about repurchasing it as it's not a skin miracle, but it does a really good job at hydrating.